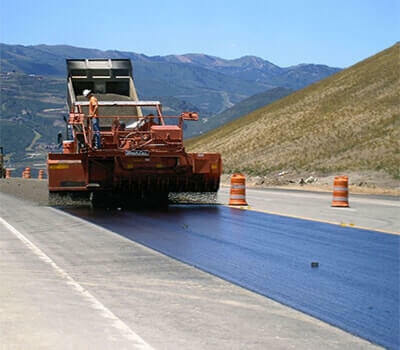 Expanded Shale Road Maintenance Products include Chip Seal Aggregate, Slurry Seal Sand, and De-Slicking Grit / Anti-Skid Material. Each product provides a variety benefits to the end user. Doesn’t Roll/Ravel out like standard sand. Freight Savings – Approximately twice the volume per truck load compared to standard sand. Dark Color draws heat from the sun, assisting with snow and ice melt.